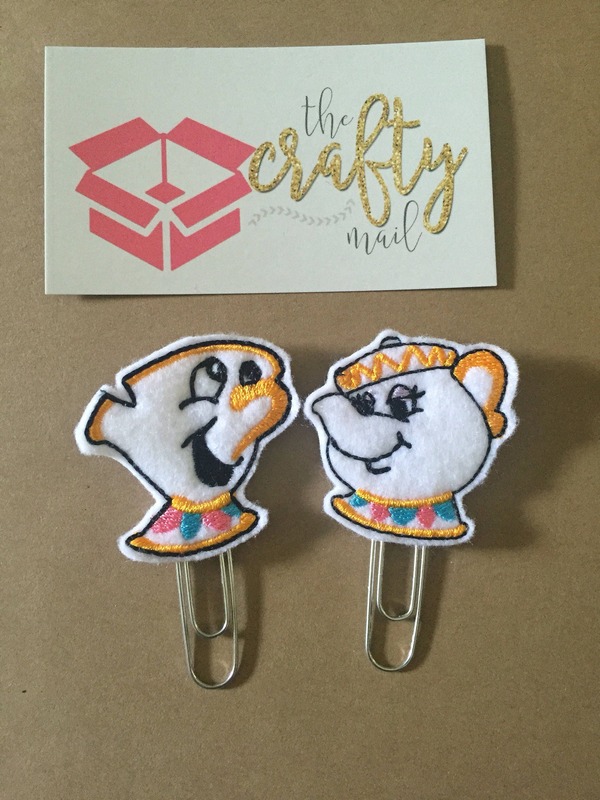 Large paper clip with your choice of Chip or Mrs. Potts embellishment. You can also purchase a set of 2! If I had to choose a favorite of the ones that I purchased with this order, it would be Chip! Excellent customer service and items are always nicely packaged for shipping. Thank you! Love, love, love! So excited to get this!